Simply put, the Ducks have dominated the Pacific division this season. Sbisa and Co. are a frightening 15-1-2 against the Pacific this season and as a result are sitting pretty to make the playoffs. The Ducks have one of the best centre-winger duos in the league with Getzlaf and Perry which has helped the Ducks be a top-three team in scoring with 208 goals (Calgary has 152, good enough for second last). The Ducks strong defensive corps have led to a +48 goal differential and have allowed the sixth fewest goals against this season, all that with their number one goalie missing significant time to injury only revealing the startling depth the Ducks have at that position. Look, I could go on but why? The Ducks are a really good team and the Flames are really…admirable. Glencross is a welcome addition to this depleted lineup that’s already missing Hudler, Stajan, and now Markus Granlund whom was injured in the game against LA after playing only 12 seconds. That’s a harsh break for Granlund after some strong play and reliable minutes in his first few games of his NHL career. Hopefully, the injury isn’t too bad and he can get back to regular minutes with the big club. As for Glencross’ linemates, I just hope that he can keep up with the five total goals scored by his ‘centre’ and winger this season (betcha can’t guess who has the majority of those five). There was a demotion this morning that puzzled a lot of observers. Max “Power” Reinhart was sent back to Abbotsford after it looked as though it would certainly be Ben Hanowski especially after he was the odd man out in the morning line rushes. Many have speculated that the nature of the roster spot that would have been available to Reinhart is what made him the choice for the trip back to Abby as Hanowski is probably better suited for fourth line minutes (which seems to be a polite way of saying he isn’t very good). That reminds me, Abbotsford are running out of hockey players. The beautiful symphony that Troy G. “Gee” Ward was composing this season with the Flames farm team is turning into a Ying Yang Twins song after his lineup has been decimated by injuries and call-ups. Hopefully, Reinhart can help stop the bleeding in Abby who are reeling from a franchise worst, eight-straight losses. There was some concern over the health of rookie-rearguard Tyler Wotherspoon after he left the game against LA with an upper-body injury but it looks as though it wasn’t too serious as he is back in the lineup tonight. It has been nice to see the youngster get some minutes in the NHL with the injury to Dennis Wideman and hopefully he can continue to see more and more ice. Tonight also marks the return of Kevin Westgarth. It’s always good to see a guy come back from an injury, especially one that looked as scary as his did, but man, am I not looking forward to seeing the puck die on his stick tonight. It was kinda nice having the kids up and flying around without good ol’ K Dubs hanging around but Alas, this is the team we deserve at the moment. First of all, it literally pained me to type in Selanne on the fourth line. 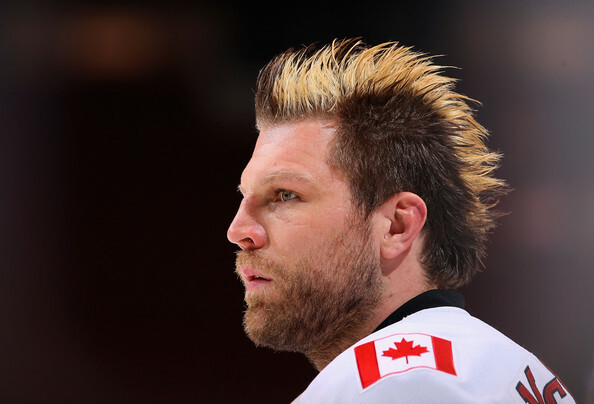 It seems so unbecoming of him to be playing on a fourth line. However, as one can see from their lineup, the Ducks actually roll four lines and in their last game against the Leafs (a 3-1 loss) every single player on the roster had over 10 minutes (except Winnik 9:43). It would be nice if the Flames could build a team without players that can only be trusted to punch faces and play six minutes a night. Oh well! The Ducks are a very, very good team with a lot of offensive weapons. One in particular should worry the Flames, friggen Daniel Winnik. This guy has been a Flame killer his whole career and will probably score a natural hat-trick tonight in the first three minutes. In 2012-13, Winnik scored three times and had four points against the Flames in three games. HE ONLY SCORED THREE OTHER TIMES THAT WHOLE SEASON. So, forget Getzlaf and Perry, get Giordano to follow the mighty Daniel Winnik around the ice all game. Up front, the Ducks have an interesting mix of early twenties youth and experience, with graybeards Selanne and Koivu mixed in with emerging youngsters Bonino, Silfverberg, Palmieri, Fowler, and the 20-year old standout Hampus Lindholm. That being said, many around the league are still pretty confused as to why the Ducks dealt Penner at the deadline and then did not replace him in any way shape or form. It is a little confusing to be sure. Perhaps it was to allow some of their younger players to see more ice but it seems weird for a contending team to jettison a useful player at the deadline. Also, it looks as though the Flames will face Jonas Hiller in net for the first time this season. In 2012-13, Hiller was 1-1 against the Flames with an .892 SV%. 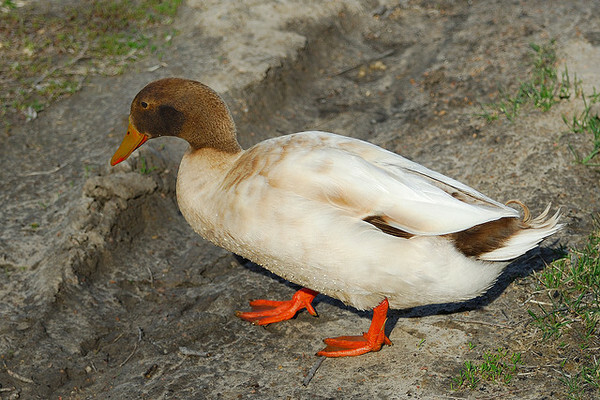 The underlying numbers of the Ducks are surprisingly…average. With the Ducks near the top of the league in many conventional stats it’s curious to see them 16th in league in FF%, 15th in the league in CF%, and 20th in the league in Shots-For. I’m not exactly sure why this is, but it does suggest that perhaps there may be some smoke and mirrors contributing the to Pacific-leading Ducks. The Ducks are a contending team in the Western Conference and are obviously a heavy favourite tonight against the Flames. Tonight will be interesting to see how Glencross looks after some lengthy time off from game action. 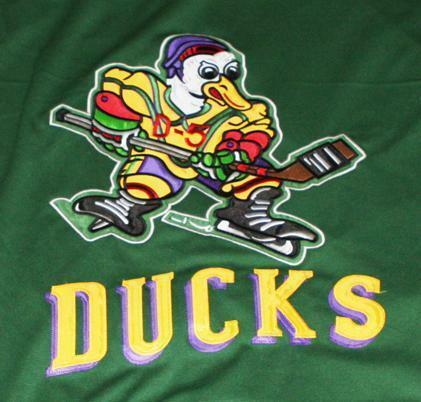 The Ducks are currently on a three-game losing streak which will probably make them pretty ornery tonight. What is kinda curious about the Ducks/Flames relationship is the fact that in their last four visits to the Saddledome, the Ducks are 1-2-1, which is surprising considering the Flames absolutely miserable history in Anaheim. Maybe the Flames can turn the Saddledome into a place the Ducks dread visiting as well? Here’s hoping..
Why is the “trash it” button so much bigger than the “props” button? Oh yeah, good job Flames.